Let's get real: chrome nail varnish is not easy, and it's basically impossible to do yourself. If you wanna get chrome nails done properly - i.e. not using some tin foil and PVA glue - then you need to go in-salon, and we all know how expensive a good mani can be, especially the ambitious ones. 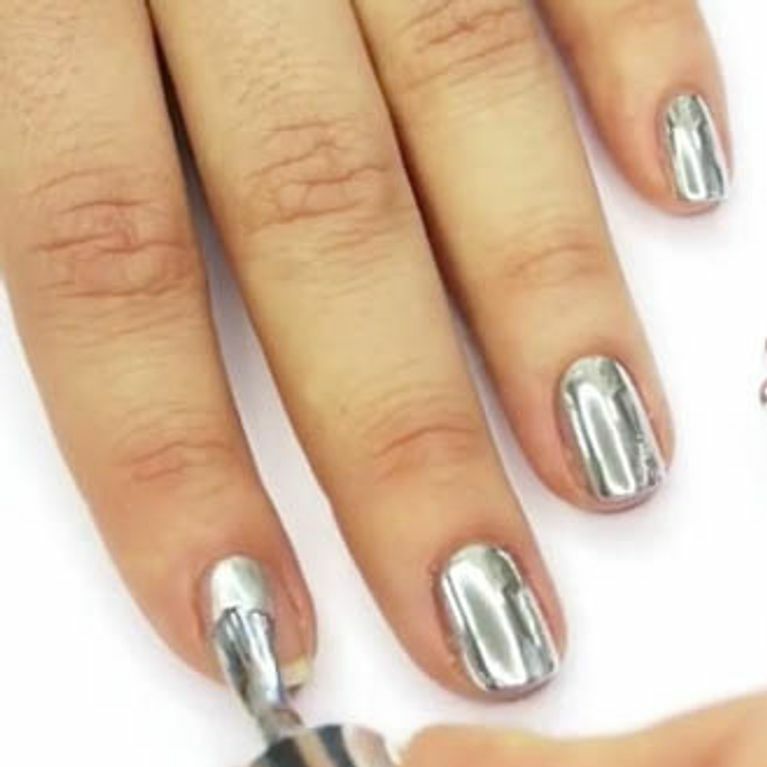 Well thanks to Ciate, we can soon have the perfect chrome nail from the comfort of our homes. Ciate's new nail varnish is about to save us a ton of money in mani fees. Usually to get a decent chrome nail, it takes a trip to the nail technician, who will then buff a special chrome powder onto the nail. But a manicure is one of the more expensive treats we give ourselves, and a metal mani upkeep is no cheap regime. But Ciate have come to the rescue on this one. Their new chrome nail polish looks like a professional manicure, complete with mirror effect, except instead of an hour with a nail technician, it takes, like, two minutes to get futuristic digits that everyone will be pawing over. Ciate have said via Instagram that this nail polish was three years in the making. Three years! And whilst it's not been officially release yet, they say that's it's on its way real soon, so keep your peepers peeled. When it comes to cost there's no telling how much this bad boy will be, but Ciate polishes tend to go for around £9. If they bump up the price on this metallic masterpiece we wouldn't be mad, though - beats a £30 manicure any day!